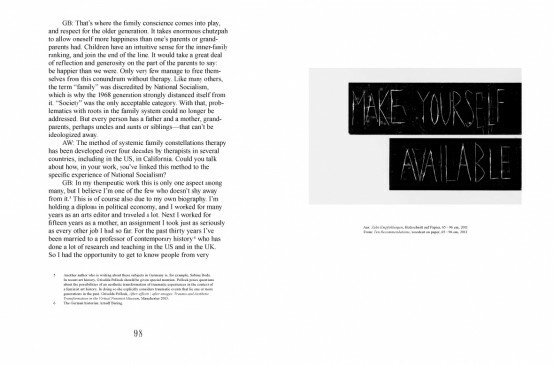 The artist book Make Yourself Available is published on occasion of the solo exhibition of the same title at Kunstverein Heidelberg (2013) and the solo exhibition He had a killer body and he was an awesome dad but she was like I can’t do this at Kunstverein Langenhagen (2015). Each exhibition took a sculptural-installative approach to the space, in which the works – chiefly large-scale woodcuts – were presented as though in a stage set. 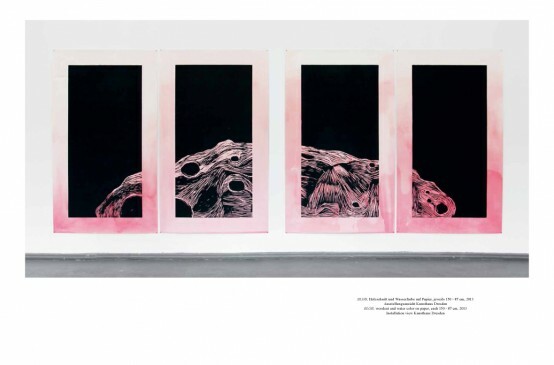 Both exhibitions were based on the artist’s self-inquiry regarding her political socialization in the 1980s in the rural south of Germany, as well as the enduring influence of National Socialism on German society. The question here concerns an individual psychological experience in the context of a historical coming to terms. Make Yourself Availabe, understood here as a call to get involved, to „make a difference“, is put in relation with the problem of the so called „Kriegsenkel“, the grandchildren of the WW2 generation. In an interview with Berlin based psychotherapist and author Gabriele Baring Weisser asks about possible underlying causes for self-harming behaviour, as Baring suggests, in the form of unknown traumas of previous generations within the family system. 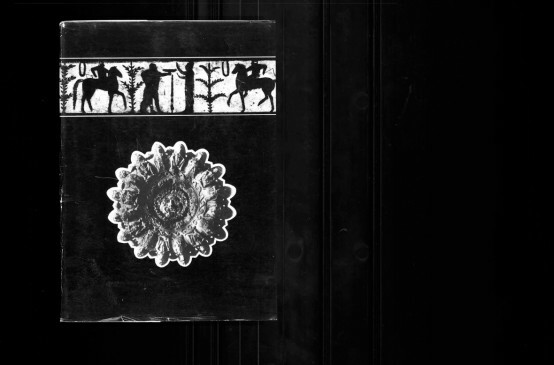 The book design takes up the gesture of making oneself available inasmuch the dust jacket is that of another book, borrowed from the private library of Weisser’s aunt Anneliese Weisser. 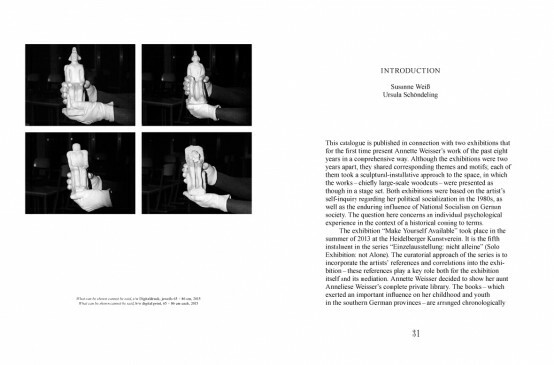 As part of her exhibition at Kunstverein Heidelberg the artist included the entire library. 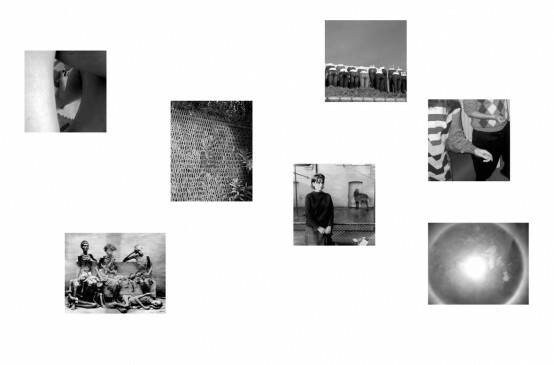 A selection of these books, chosen to represent a moral-intellectual milieu the artist grew up with, frame the actual content of Make Yourself Availabe. 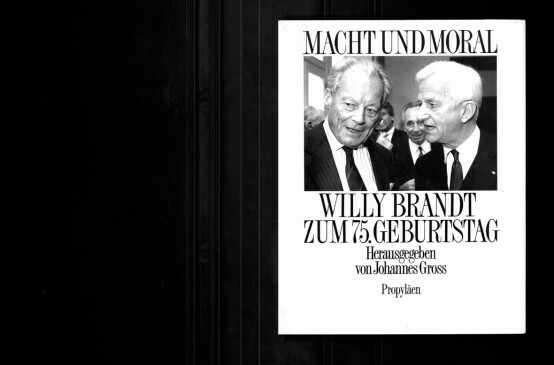 In a similar gesture, the font is criss-crossed by another font, taken from the dust jacket of an anniversary publication in honor of Willy Brandt’s 75th birthday. 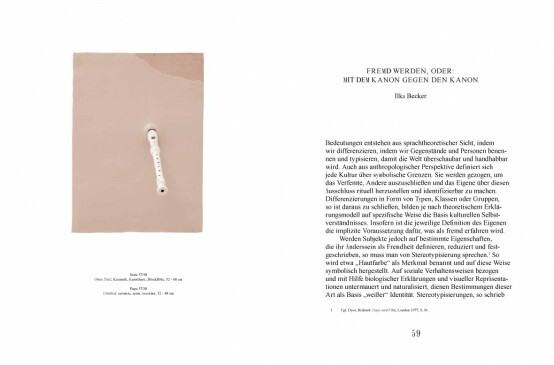 Essays by Ilka Becker and Maria Muhle. 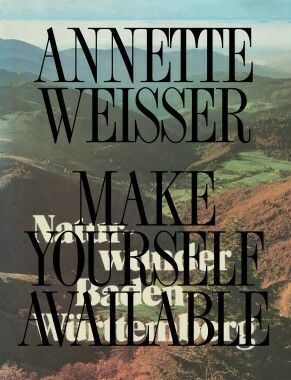 Interview with Annette Weisser by Chris Kraus. 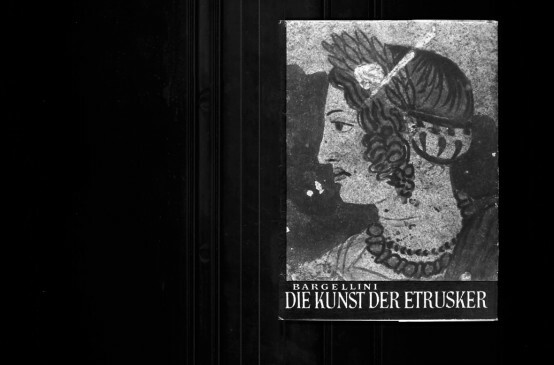 Interview with Gabriele Baring by Annette Weisser. Introduction by Susanne Weiß (director Heidelberger Kunstverein) and Ursula Schöndeling (director Kunstverein Langenhagen).